PESTILENCE, Netherlands best progressive death/thrash metal band, period. 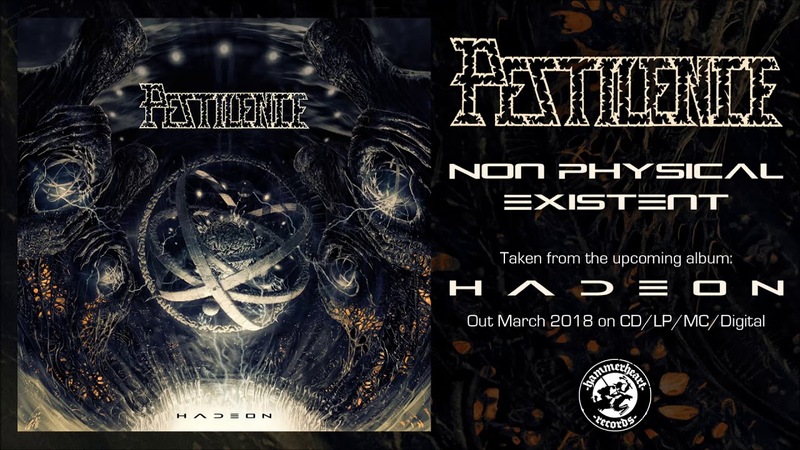 Having released such classics as “Consuming Impulse”, “Testimony Of The Ancients” and “Spheres”, the now more progressive and atmospheric release, “Hadeon” attacks on all spectrums featuring nice vocals reminiscent of Evil Chuck or possibly John Tardy of Obituary. PESTILENCE has had a well-deserved place in the first wave death metal elite, mentioned in one breath with the likes of Death, Obituary, Cynic, Atheist and the likes. The band is finally back in it´s best shape and will conquer you again.